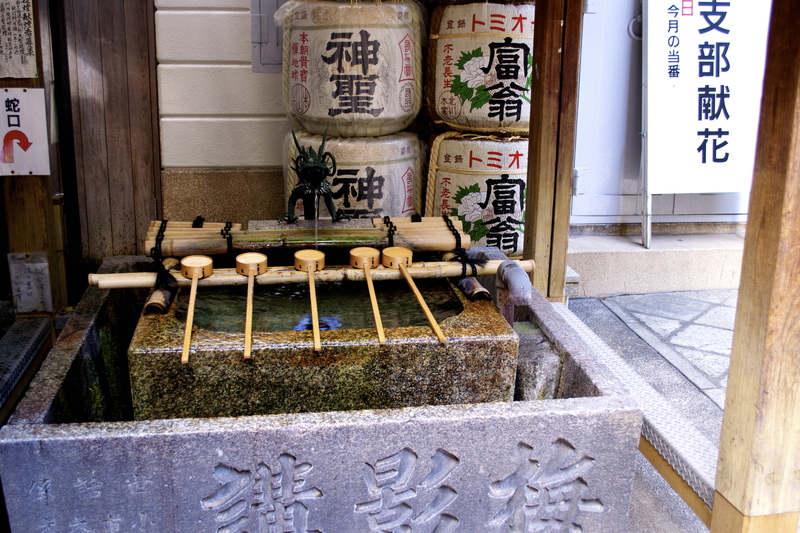 KYOTO: my first trip there and I’ve fallen in love. Japan’s old capital validated my high levels of anticipation, making a return trip the top of my travel to-do list. Two and a half (very) short days were crammed full of sight see-ing and (of course) food, more than I can fit into one post. 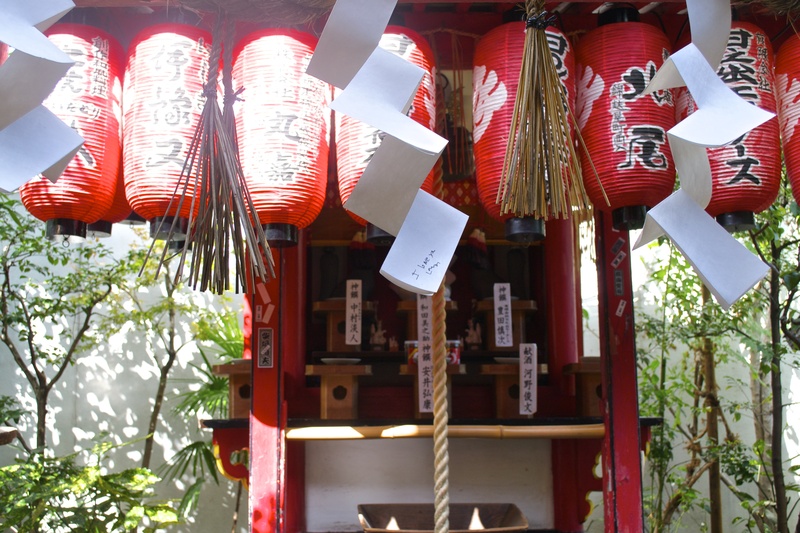 I’ll be breaking Kyoto down into smaller stories, but first here it is: Kyoto in a nutshell. 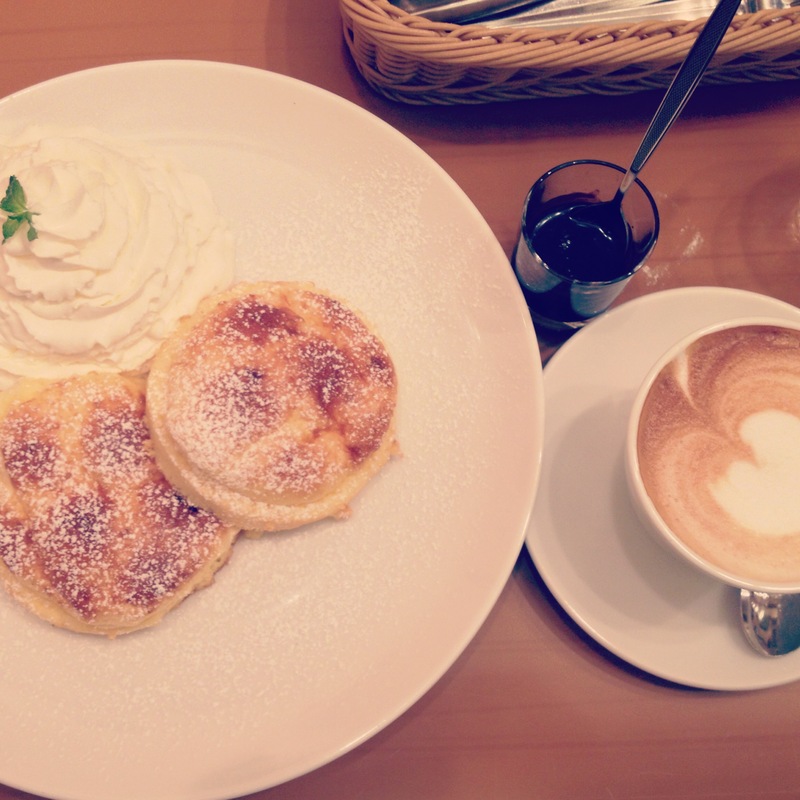 Day one: An embarrassingly indulgent breakfast of pancakes and coffee and roaming around Kyoto station and its many levels of shopping. 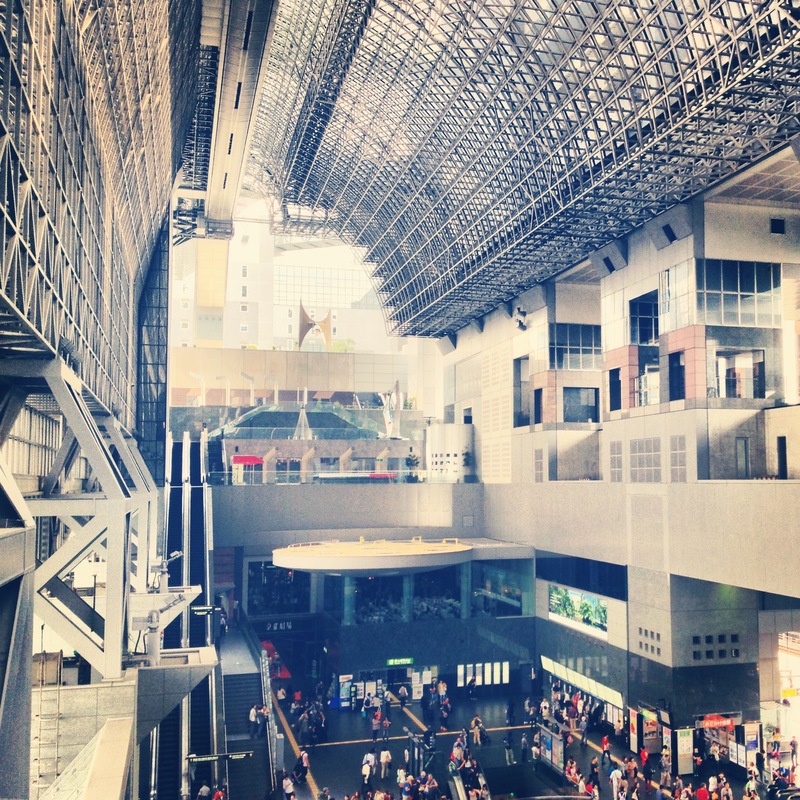 Kyoto station was a stunning example of functional but beautiful design. Large expanses of criss-crossing metal beams form walls- yet never enclose to form a building, allowing light and air to stream through. Nishiki Market: It was easy to get disoriented in the bustling roads of shopping for everything from fish to wigs. 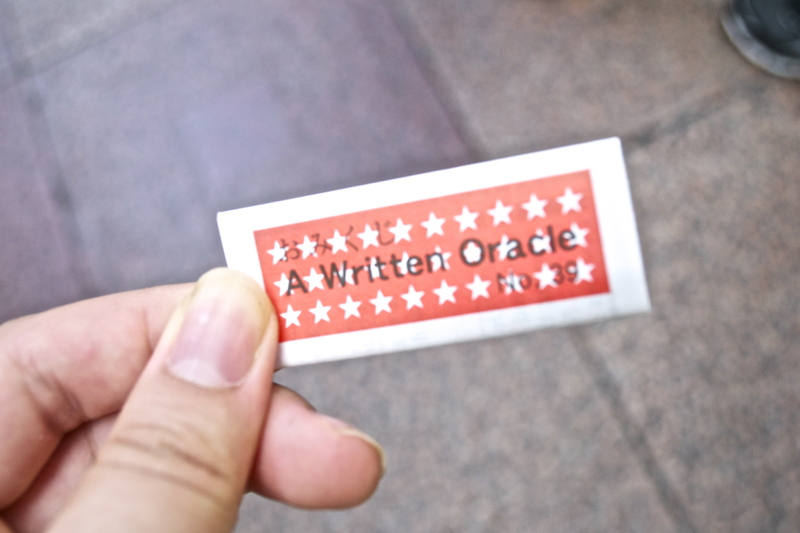 It was here that I also visited a temple to receive a fortune, after a few technical difficulties. 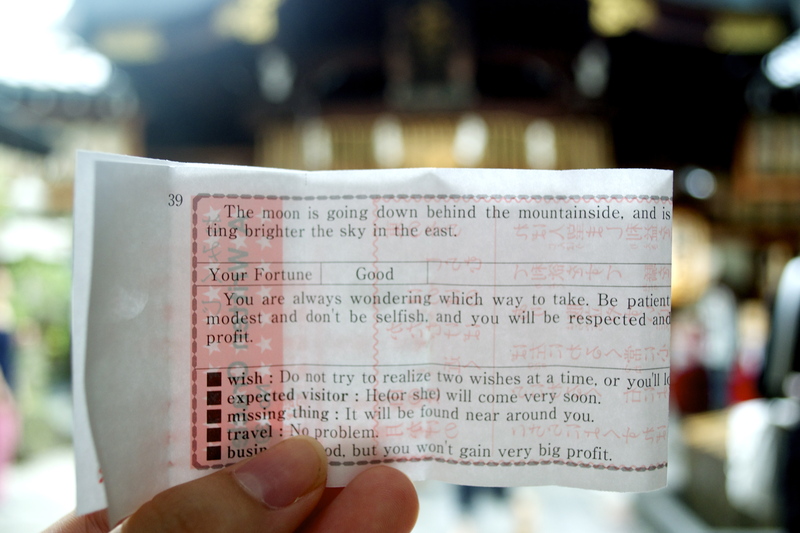 Like most temples, a few hundred yen can be exchanged for a “fortune”, which you can take as lightly or as seriously as it suits you. I found a somewhat kitschy machine with an automated dragon(?) who fetched fortunes within an enclosed case. 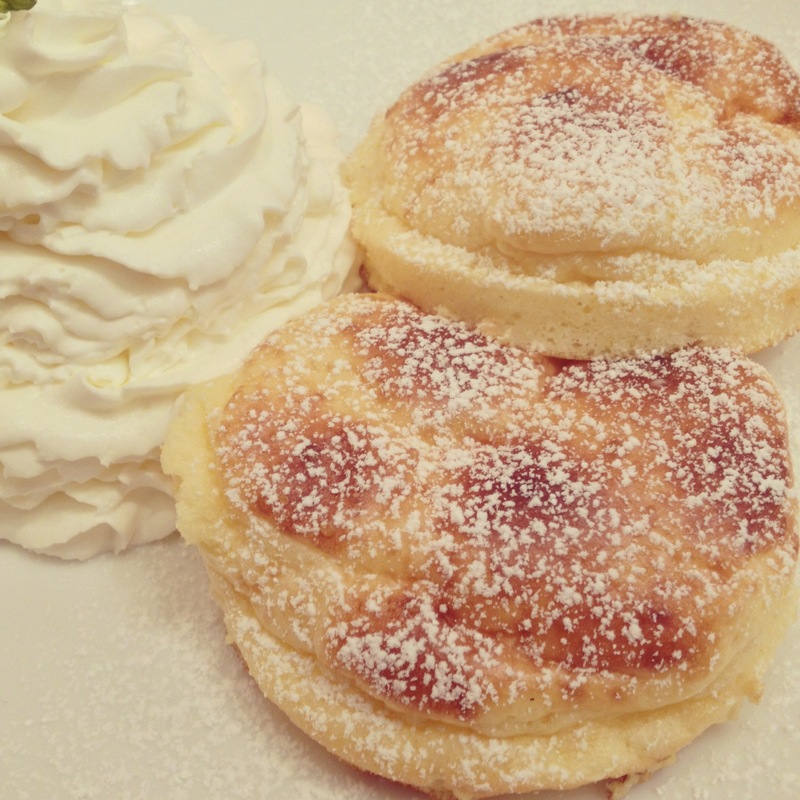 It was here that I also ate a cat donut (adorable) burnt ramen (yes, burnt) and visited my first Cat Cafe. The day culminated with a sensory overload at the Fushimi Inari Shrine. A series of hundreds of orange “Torii” gates leads up a mountain, called the Senbon Torii. We hit it just as the sun was going down, making the climb down treacherous but worth the view of the glowing orange shrines. Day Two: Maiko Dress-Up in the Gion District, something I’ve been dreaming of doing and finally had the opportunity! 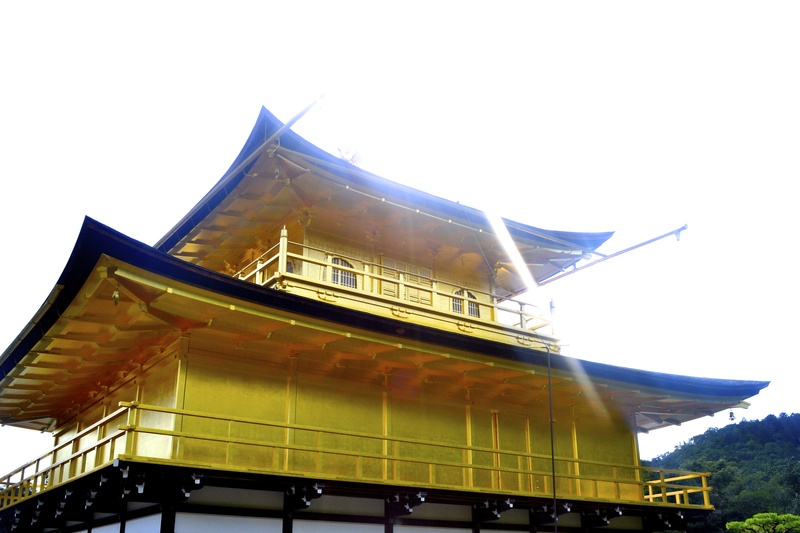 Kinkaku-ji, a stunning, golden temple which in the perfect weather absolutely glowed in against the blue sky and water. 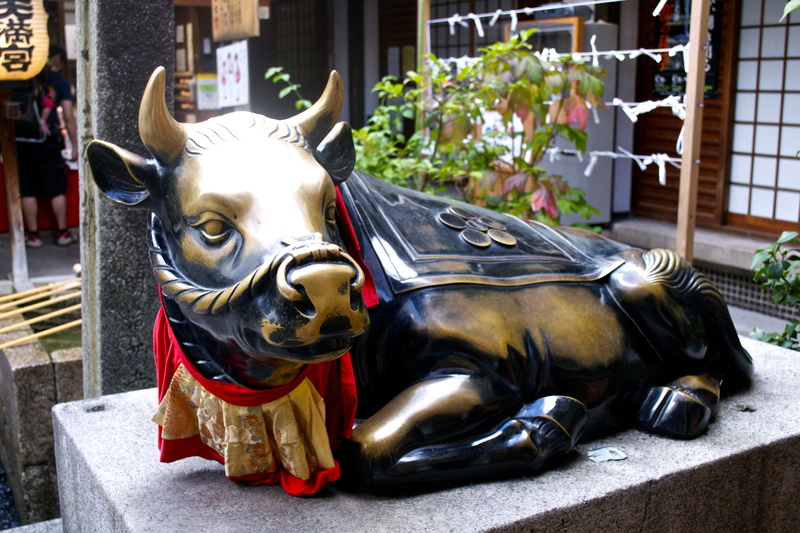 This was followed by a return trip to the Gion District to explore the bustling nightlife and souvenir shops. In contrast to my other experiences in cities, Kyoto was surprisingly lively past 8 pm. Tokyo’s nightlife felt more hectic, and chaotic, especially in the Shibuya area. 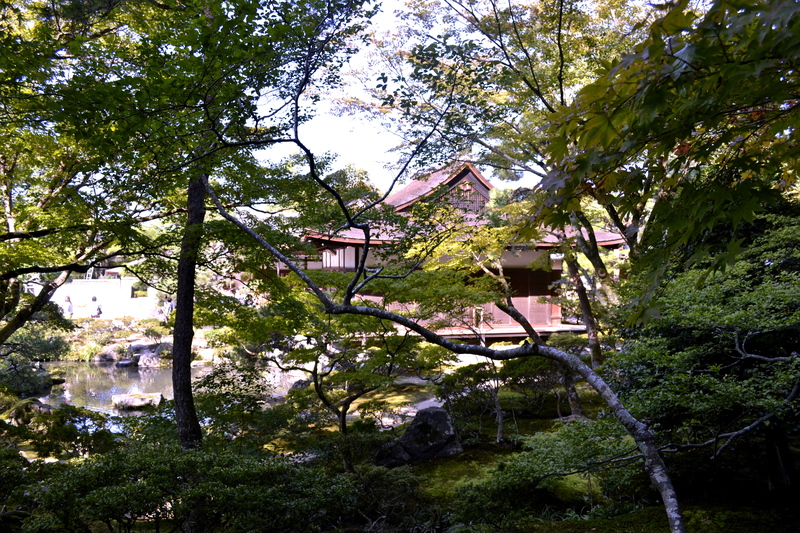 Kyoto, on the other hand was alive with excitement and yet entirely comfortable, like a spirited reunion with old friends. Day Three: after a hasty breakfast and bus ride we spent an ethereal hour at Ginkaku-Ji, Kyoto’s silver temple (aka… the not so silver temple). It was very constricting, especially the head piece which is a lot heavier than it looks! I didn’t get the chance to walk around but I do plan on returning to Kyoto and dressing up again, so maybe next time! Fushimi Inari Shrine is my favourite part of Kyoto. But when I went, I took my mum, so I couldn’t go all the way to the top. Those cats that patrol the place were great. There just something really special about that place – really otherworldly. Going to Nintendo’s Hyakuninisshu museum was a lot of fun too. Your blog makes me want to go again! That’s a perfect word to describe this place. Definitely a unique experience. And I’m in the same boat, I’m counting the days until I can go to Kyoto again!